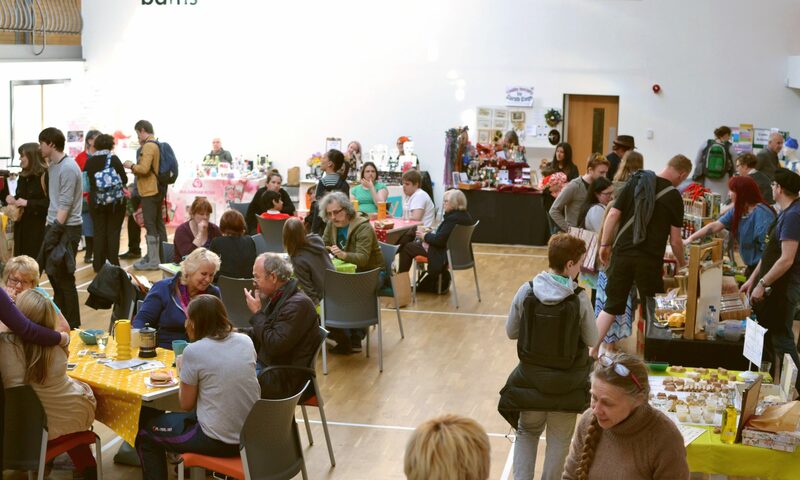 As well as all of our returning stall holders which can be discovered in the link above we have two stallholders that are brand new to Stirchley Community Market this May! The Holodeck is a superb printmaking and bookbinding workshop based in Birmingham city centre run by Stirchley’s own Joseph Lilley and will be at the Market to promote their amazing services and selling examples of some of their creations. Many of you might be familiar with The Holodeck already because of their fantastic Save Stirchley Library riso-print posters that are in many living room windows all over the area. Little Lion Crafts is a lovely local handmade craft stall. Designer Lou creates a range of bespoke 3D Quote, Scrabble & Lego frames. Not to mention the Upcycled Demijohn Lamps that are made to order, making sure each one is completely unique. Make sure to pop into May’s Market to see all the other crafty bits and pieces that have for sale, or even to have a chat with the artist about creating something uniquely you! We hope to see you all on Tuesday 2th May, 4-8pm at Stirchley Baths.